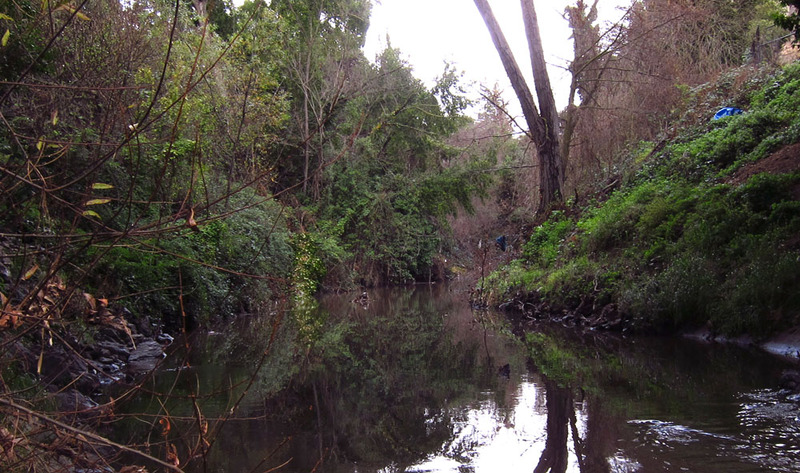 This entry was posted in Anza Expedition, Aquatic Habitats, California, East Bay by CreekSnooper. Bookmark the permalink. Can’t help with the subscribe button but I wanna push it. Give it another shot. I think that a wonderful soul, William Crowley, got it working for me. Great stuff! What a wonderful idea and approach. Thanks especially for tracing the historic and modern creek channels. Will there be any crossover with the wonderful San Francisco Estuary Institute historical ecology work on Ventura County, southern Santa Clara County, and the Peninsula? Just want to let you know I’m following. Very cool. Don’t forget to look up now and then. With Jupiter, Venus, and Mars all putting on such a show in the desert skies it was spectacular. Some great meteors too! It’s raining here; is it raining there? Are you stopping to smell the flowers? Wait, are there any flowers right now? Not until we left, then 10″ fell in one day on Borrego Springs… and we missed it!!!!!!!!! Looks like a fun and fascinating journey. I’m thirsty for more already. Howza bout Anza’s itinerary from the journals to follow along? I share your fascination with water and the Anza expedition. That fascination continued on for me as I researched the life of Juana Briones y Tapia de Miranda. Every place she or her parents lived, the water source shows up clearly on maps. Her mother, Isadora Tapia, was four years old on the Anza journey. According to Engelhardt in a book about Mission San Luis Obispo, her grandfather, Vicente Briones, was stationed in 1773 and for years more as a guard at the Mission. His son, Marcos, who became Juana’s father in 1802, was there when he was a child. One of the maps I refer to is of the San Francisco Presidio in 1812, which Mariano Vallejo had drawn based on a description by Marcos Briones. The Briones home (recently excavated by archaeologists) is very close to El Polin Spring at the Presidio, still flowing. It was considered so healthful that Indians traveled there to partake of its waters, and its beneficial attributes were said to contribute to Marcos’ daughter, Guadalupe Briones y Tapia de Miramontes, producing 20 children. Every other place Juana Briones lived was also located at streams or lagoons. I once thought that the Anza expedition records might have been called The Water Journals. Whoa, whoa, get out the way with that good inmnofatiro. This is a very inspirational and thought provoking blog. Although I have not experienced what you have, there are many other girls and women who have. I will definitely forward this blog to the people I know. If I was encouraged by this, you will definitely be a source of encouragement to them…I’m sure of it. We all make choices in life that aren’t up to par, but in the end, God can still be glorified and you’re doing just that. I’m proud of you. Continue to keep God first in all things. loved browsing your blog posts. After all I will be subscribing to your feed and I’m hoping you write again very soon!